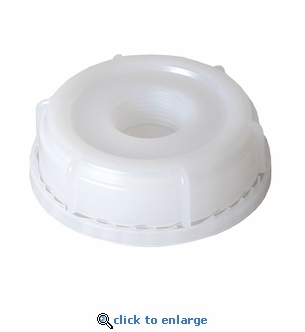 This natural polyethylene (PE) plastic screw cap with tamper evident strip has a 3/4" threaded knockout (reducer). This plastic pail closure offers a tight seal as well as easy access to containers for filling and dispensing. Works with most 5 gallon water containers with a 2.5" threaded opening of 6TPI.